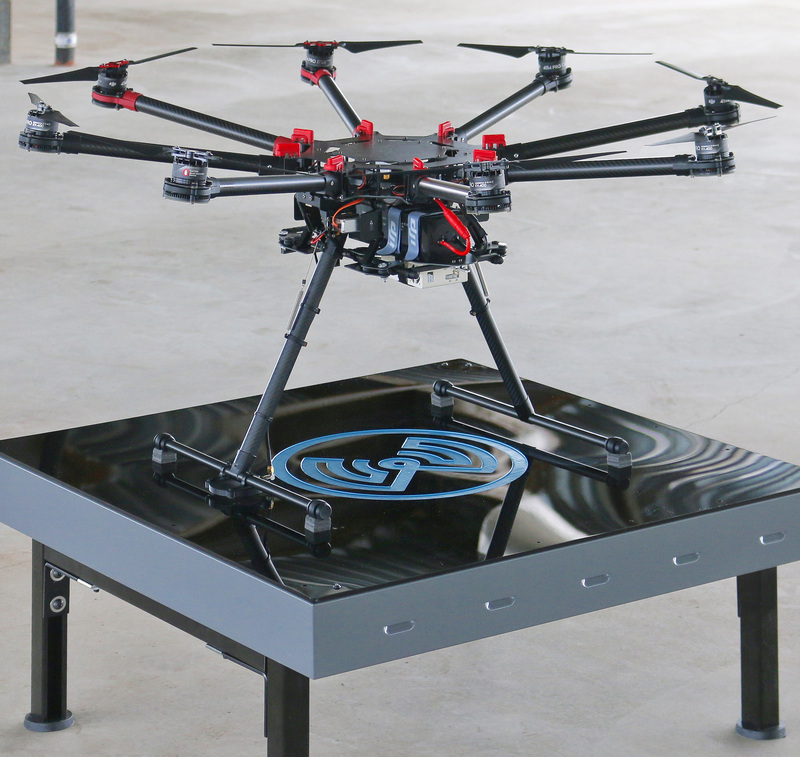 The DJI S1000 System includes the TR-110 Transmitter and the OC-210 Onboard Charger. The OC-210 is housed in a standard ABS plastic enclosure that may be mounted either underneath or on top of the S1000 airframe. A custom bracket is provided for mounting the WiBotic antenna to the S1000’s leg, and a 2-way battery cable allows for simple connection to the drone and typical LiPo battery.